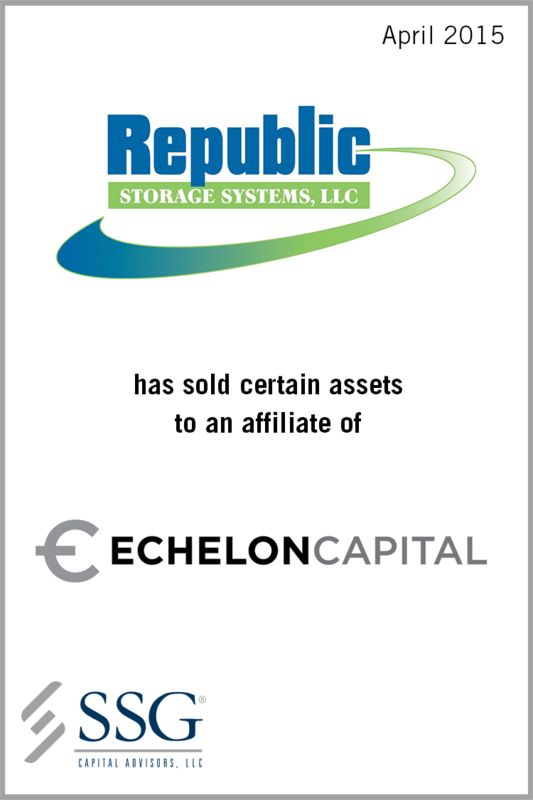 Republic Storage Systems, LLC (“Republic”) was founded in 1886 and is headquartered in Canton, OH. Republic is a manufacturer of lockers, shelving and other storage products. The Company also maintains a warehouse facility in Statesville, NC. Republic’s lockers are one of the most well recognized and reliable brands in the industry. The Company’s manufacturing capabilities and powder coat and liquid paint lines enable the Company to create hundreds of configurations and produce lockers and shelving systems to its customer’s exact specifications. Republic sells its products nationwide. As the locker industry has experienced continual overcapacity and a lack of new projects coming on-line the last few years, Republic’s sales and cash flow were adversely impacted. Exacerbating the issue is the competitive bidding process that many manufacturers engage in by which the “low bid” often wins, further hurting Republic’s margins. Consequently, Republic faced a severe liquidity crisis and did not have additional borrowing capacity to provide it with the capital necessary to fully operate its business. The Company retained SSG to explore strategic options, including a sale of substantially all of the Company’s assets. Working under an extremely tight timeline, SSG began the marketing process, identified a strategic buyer, assisted in the negotiations of the Article 9 sale and closed the transaction within six weeks from initial engagement. SSG’s experience in identifying buyers and running an expedited sales process were critical to the successful closing of the transaction.